These Four Flavorful Recipes for Vegetarian Baked Beans will be the perfect addition to your picnic or barbecue, because everything summer goes with Baked Beans! That’s why we’re featuring Vegetarian Baked Beans for our Friday Favorites this week! 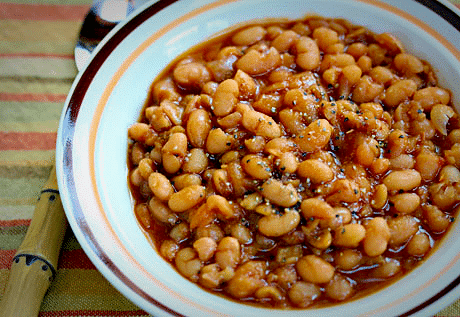 Click here to PIN Four Flavorful Recipes for Vegetarian Baked Beans! Click here for The Best Instant Pot or Pressure Cooker Baked Beans Recipes! Summer is here in the United States, and that means backyard barbecues and picnics! This collection of Four Flavorful Recipes for Vegetarian Baked Beans is a super place to begin when planning that outdoor meal. 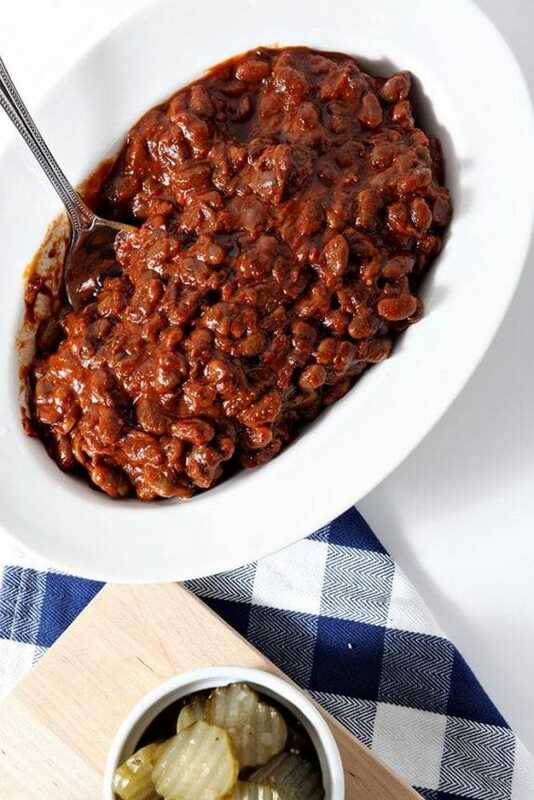 We updated this post with more options to help you find the perfect recipe for Vegetarian Baked Beans, since they’re a perfect side dish for grilled foods or sandwiches. These recipe will produce perfectly cooked beans, with sweet, savory, and smokey flavors accomplished without using meat! We’ve included recipes for the Instant Pot or the Slow Cooker here so you can choose the method you prefer. All photos are copyrighted to the site that posted the recipe. Just click the recipe name under any photo to see the complete recipe on that site. These perfect Instant Pot Baked Beans from Julie’s Eats and Treats are the best side dish to compliment any meal! Lydia has the perfect combination for these Slow Cooker Vegetarian Chipotle Barbecue Beans from The Perfect Pantry and there’s a secret ingredient to add smoky flavor without using meat! 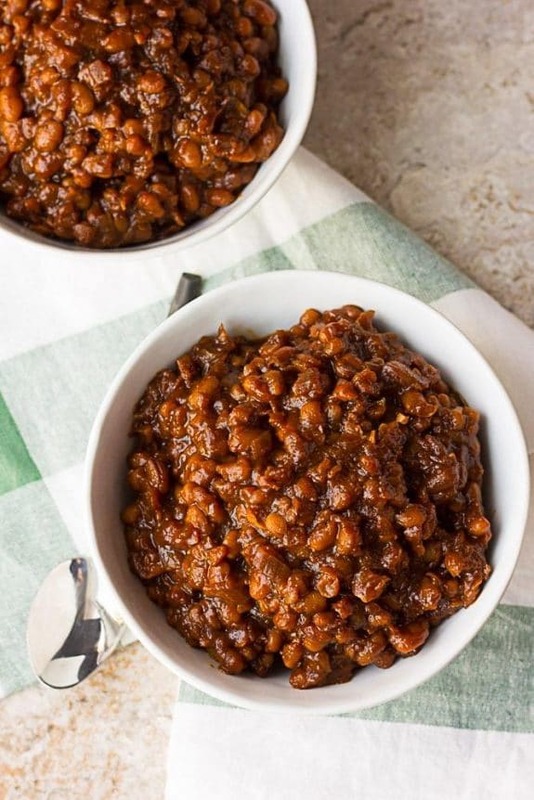 Instant Pot Vegan Baked Beans from Nora Cooks are cooked in a tasty sweet and savory sauce that has a touch of heat. These are quick and easy to make and kid friendly! Instantly Delicious has a winner with this Instant Pot Vegetarian Baked Beans recipe. Julie used smoked paprika and salt to boost the flavor and make these a total crowd pleaser! It took me a few tries to get this right, but I love these beans, and they'd be great for a holiday weekend cookout. Sheila and Lydia, these beans just had "Memorial Day" written all over them to me!